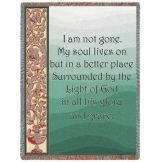 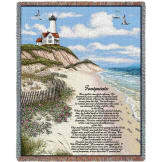 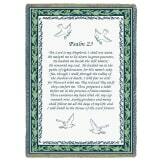 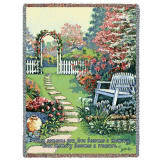 Beautiful words of comfort add a thoughtful touch to the tranquil setting depicted on this lovely woven blanket. 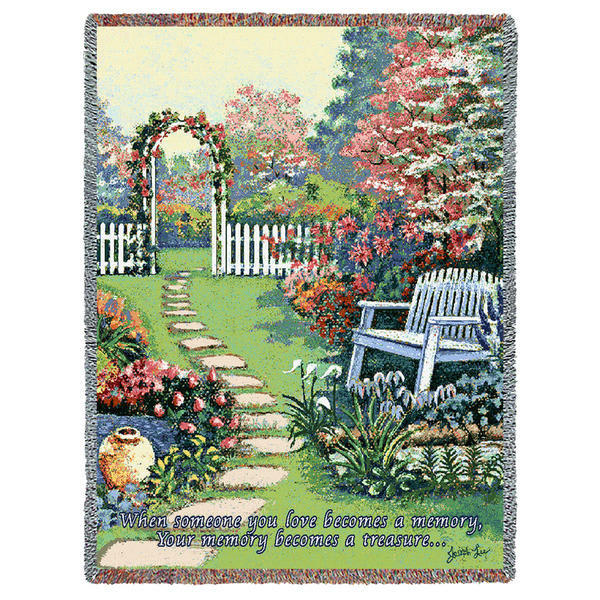 The peaceful garden and serene pond present a perfect spot to sit and reflect on warm memories of loved ones lost. 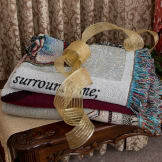 A sweet, thoughtful memento, carefully woven with quality in mind, for a sure to be cherished, lasting keepsake. 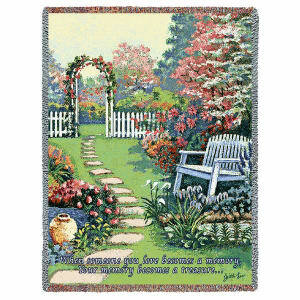 Lovely wording at the bottom, "When someone you love becomes a memory, your memory becomes a treasure".